Chad Santee is a Cavalry war hero who is given a discharge to head out on a normal life in the old west. Without a clear path ahead of him, Chad sets out to join his brother, Jubal in a small town, rescuing the beautiful Rose from attack along the way and taking her with him on his journey. 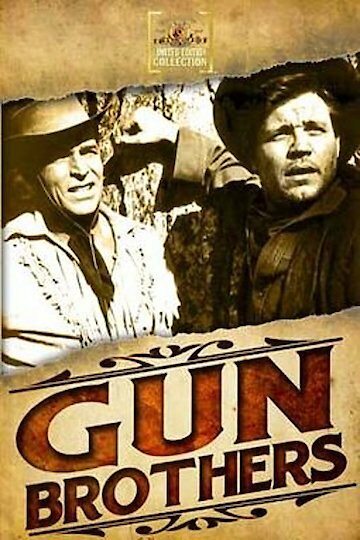 Chad finds his brother is actually an outlaw and cattle rustler who leads a local gang, Chad refuses to join his brother and sets up a farm that is soon the subject of the unwanted attention of the gang. Gun Brothers is currently available to watch and stream, download, buy on demand at Amazon Prime, EPIX, Amazon online.